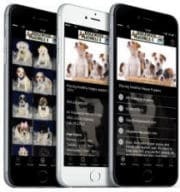 Here at Ridgewood Puppies, we are very interested in the good health of our Pug mixed puppies for sale and offer a lifetime warranty to show you how confident we are in their health. Purebred Pugs are one of those breeds that are just prone to health problems, no matter how carefully you breed them…as a result of having smooshed in noses, wrinkles, etc. Pug Mixes, however, when bred in the first generation are typically very healthy, while still having that “Pug look.” Their noses are not flat, and they not near as prone to having skin problems, and hereditary diseases are bred out. THIS IS WHY RIDGEWOOD OFFERS PUG MIXES, BUT NOT PUREBRED PUGS. If you are interested in owning a Pug Mixed puppy, feel free to contact us and we will be more than willing to go over characteristics of the Pug mix you are interested in, and help you find the right mixed puppy for you! Ridgewood Kennels has been placing Pug mixed puppies for sale in PA, NY, NJ, DE, MD, RI, and farther for 40 years! All of Ridgewood’s Pug mixed puppies for sale go home with a written LIFETIME warranty. See Ridgewood Kennels Pug Mixed puppies for sale in PA below! We bought our “Max” in 2007 from the Puppy Boutique in Downingtown. He is a mini poodle (large toy). He will be 11 years old in May. He has been a healthy and happy boy, and the light of my life! He is always by my side and has brought my family so much happiness.